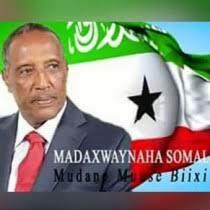 - He did certainly listen and learned that Somaliland is not Somalia and in his words he was told by the elected representatives of the Somaliland people and by the Somaliland civil society: “They don’t think one size of UN will fit all”. It seems to me that Mr. Kay didn’t at first get that message correctly, but that same point was repeated and clearly elaborated to him by the President of the Republic of Somaliland, who told him ingenuously that Somaliland is not Somalia and a UNSOM office is neither necessary nor welcome in Somaliland soil – a very bold statement that a Somalia leader doesn’t have the courage to make in million years, even when the Lower Juba, a whole region of his country is fully and illegally occupied and is in the process of being annexed by Kenya. But so-called Somalia leaders are mirthfully quick to claim Somaliland territory. I believe Mr. Kay, who I think was not sufficiently briefed about the history and status of Somaliland was hardly hit by the facts and realities on the ground in Somaliland and was lost for words, when he called Somaliland “this complex place”. I also feel it will take him at least weeks to decipher the whole historical and political picture of the Horn of Africa. I think both Mr. Augustine Mahiga and the so-called Somalia Federal government deceived Mr. Kay. They must have fed him with their usual inaccuracies and the unfounded claims of ‘Somalia government having a jurisdiction and administrative control over Somaliland’, that is the way they treat honest people and take full advantage of them - a sham they more often than not sell to the unsuspecting members of the international community. Of course, almost everything that the unelected Mogadishu government feeds the international community and media is nothing but claptrap. I wish I could candidly advice him not to get his information from those in Somalia – NEVER! In 1950 and soon after the defeat of Mussolini’s fascist regime in Italy, Somalia-Italiana, which was then an Italian colony, was handed over to the United Nations as a trusteeship from 1950-1960. This international decision was not taken lightly, but was made possible after long and at times heated verbal exchanges between some members of the UNO and thoughtful deliberations by others. The post-World War II International community finally came to the conclusion that Somalia-Italiana did not have the right qualified people to run its affairs as a sovereign country. The Italians who colonized Somalia for close to a century were also among those who adhered to the opinion that Somalia-Italiana was not qualified enough to become an independent country and they too endorsed the idea of trusteeship under its watchful eyes. Despite 53 years of independence Somalia-Italiana is politically worst than when it was first made a UNO trusteeship. Somalia is the shame of the free and non-free world alike and remains the launching base of terrorism, sea piracy and anarchy. 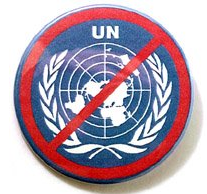 The country is now run by UNO rubber-stamped warlords and is recognized as a sovereign nation with “democratically elected government”, although the current regime in Mogadishu does not have a loyal constituency and was appallingly put in place undemocratically by fake clan chiefs and regional warlords. The whole so-called selection system of the current Mogadishu regime was beleaguered with bribe and is practically far from both democratic and sovereign. To simplify this notion for the regular none Somali readers, I would say, one does not need to look further but ask, who are the body guards of the top leaders of the Somalia regime? Of course, they are foreign soldiers from the AU - Is this not sufficient to proof that Somalia is neither democratic nor sovereign? What do you call a president or a Prime minister that does not trust his life with the soldiers of his own country? I don’t know about you but I personally call them: “Somalia leaders”. On the contrary, Somaliland did not go under UNO trusteeship, but her Majesty’s government decided to grant full independence to Somaliland not a day latter than June 26th, 1960. Unlike Somalia, Somaliland is populated by peace-loving and law-abiding citizens and has a democratically elected government that is in peace with itself and with the rest of the world. Hence, the prediction of the UK government of June 26th, 1960 was right, because Somaliland is democratic and a peaceful island in a turmoil region in Africa. However, the same UNO members that applauded Somaliland independence in 1960 are now refusing to recognize Somaliland’s sovereignty and are lumping it to chaotic Somalia, although the two were separate countries before 1960 and again for the last twenty-two years and counting. I hope the international community will realize the grieve injustices that they have committed in the last two decades against Somaliland and will sooner than latter correct its mistake.